Bandoleras Medievales There are 7 products. Self-adjusting shoulder Renaissance. Made of leather of the highest quality. 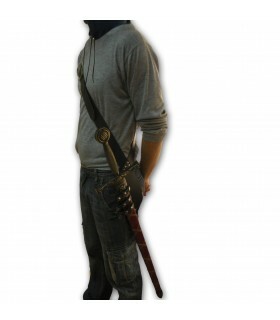 It fits any type of rapier or cross. 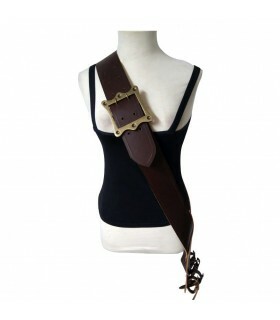 black leather sword belt, strap type belt buckle to adjust and self-adjusted to various positions of the sheath. 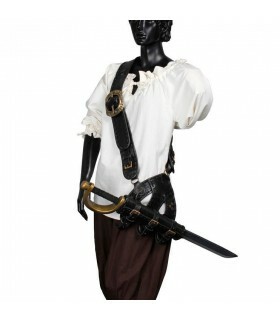 Thali typical Renaissance shoulder for rapier. Made in 3.5mm thick skin. and adjustable. Buckle square with a width of 70 mm. 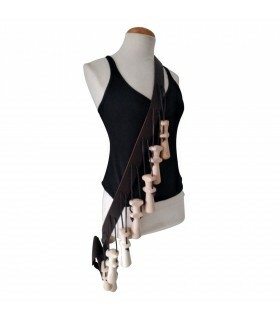 Shoulder strap 2 pieces with self-adjustable strap and buckles. Made of leather. It is a set that includes thali, leather bag for missiles and the "12 apostles", tubes or wooden containers to carry the metered powder musket each shot or musket. It was first used in 1550. 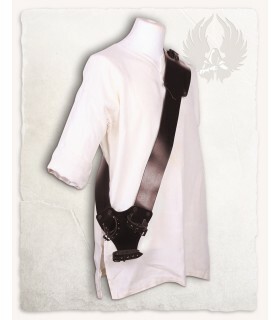 Shoulder strap belt with adjustable Doran baldric. 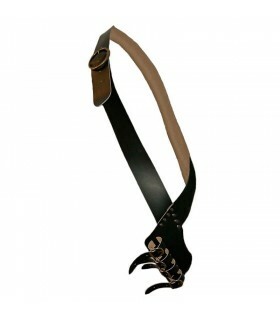 Includes sword baldric and another that can be used for knives.